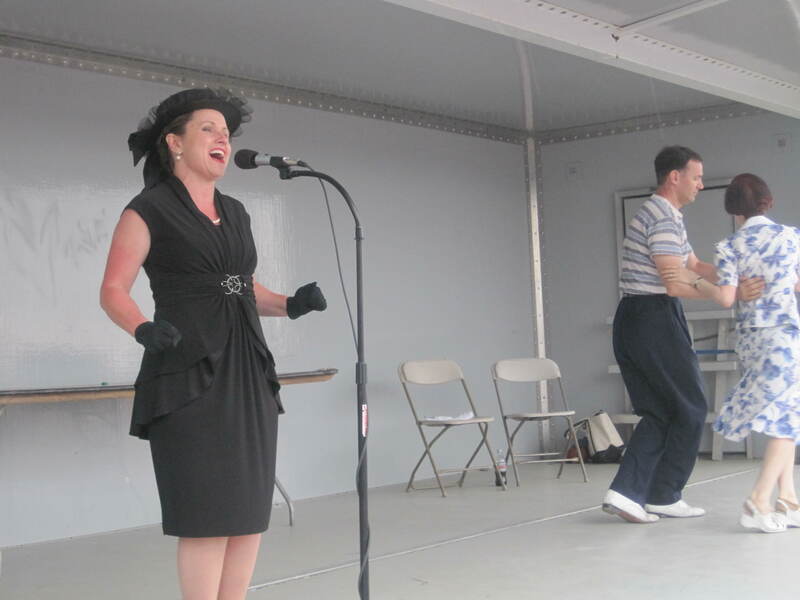 Theresa Eaman sings at World War II Weekend in Reading, Pa. In another blog for CultureMob, I reviewed the musical acts that graced World War II Weekend in Reading, Pa. In retrospect, Theresa Eaman, an area jazz singer, was the real surprise of the musical acts booked Saturday. She is one of those voices who breathes life into the torch songs from the era. It was so authentic, if I closed my eyes I practically could hear the hiss of the record and smell the stale smoke in the club.